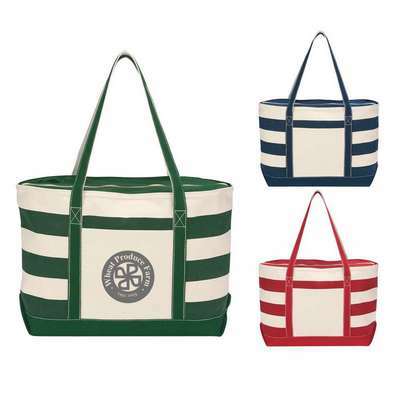 Stand out from your competitors and get tons of brand exposure by advertising on the Cotton Canvas Nautical Tote. Imprint your company’s logo on this bag, using embroider technology, to gain extensive visibility for your brand. 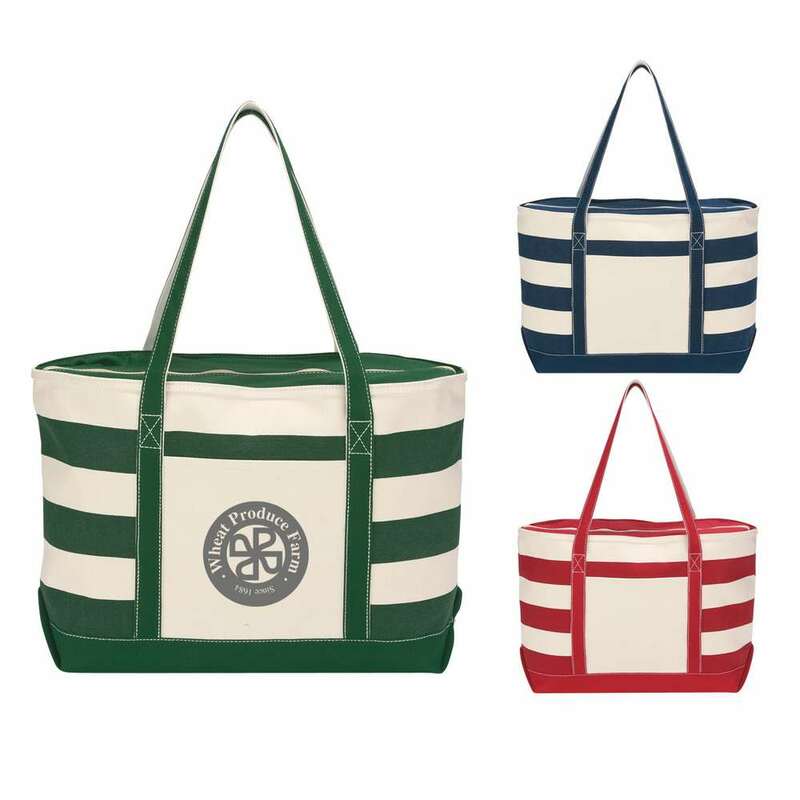 Stand out from your competitors and get tons of brand exposure by advertising on the Cotton Canvas Nautical Tote. Imprint your company’s logo on this bag, using embroider technology, to gain extensive visibility for your brand. The tote is made from 18 oz. cotton canvas material. It has a top zippered closure and a front pocket for efficient storage and protection. The 27” handles make it easy to carry the bag wherever you go. Give away this eco-friendly tote bag at malls, trade fairs, and tourist and picnic spots to elevate your brand’s success.